Ink painting and calligraphy have been an integral part of Chinese literati culture for thousands of years. 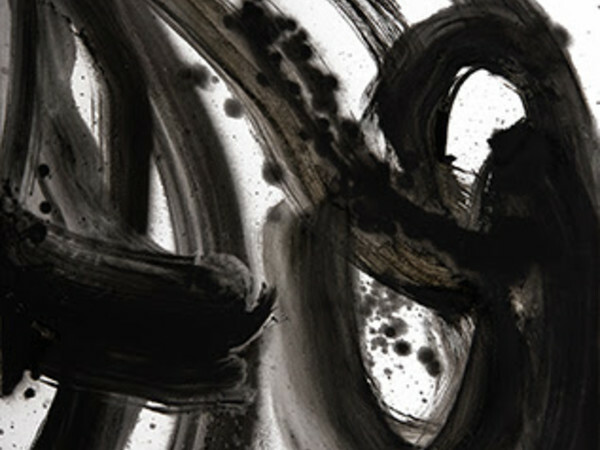 Chang uses these classical techniques and aesthetics to create a new language that is relevant to a contemporary society. Rather than focussing on the process of creation, the artist works similarly to the western art movement Expressionism whereby the artworks are expressive of the artist’s inner feelings or ideas. Born in 1948, Yahon Chang lives and works in Taipei, Taiwan. He has shown in numerous international solo and group exhibitions including the recent solo show The Question of Beings at MACRO in Rome (2016) and the 56th International Art Exhibition - la Biennale di Venezia (2015). Raised in post-Japanese-colonial Taiwan, his works portray a particular visual language that voices the agony, rejection, struggle, adversity, acceptance and love as well as his quest to find a higher spirituality and peace. There is a mysterious quality to Yahon’s paintings that cements serenity within the viewer, rendering the work in a state of timelessness.